Years ago I called for a black and white computer, and that strange desire still lives within me today. While no one has yet taken me up on this amazing idea, the monochrome devices that do exist have improved, yet are still frustratingly limited in their capabilities. That’s why the reMarkable tablet is such a pleasure to me. They went full e-paper. If you’ve been following it since the announcement late last year, you’ll know the reMarkable is a sort of Kindle on steroids, a digital notebook that’s made to imitate as closely as possible the experience of writing on paper — but with all the advantages of modern tech. Now, I didn’t get a hands-on with a prototype the way several other outlets did (a hazard of working in the remote Pacific Northwest), so I’ll be waiting for the final device before I render a final opinion on whether the reMarkable accomplishes what it sets out to do. But I want to put down for the record that I’m rooting for them. I talked with co-founders Magnus Wanberg and Mats Solberg, CEO and chief design officer, respectively. They seemed a lot like myself: nostalgic for the undeniable qualities of paper, excited about the prospects of e-paper devices and disappointed with existing options. Over the last couple of years they worked to augment the capabilities of e-paper displays, tweaking this and that, improving software and trying different interaction methods. All this, it must be said, while tablet and Kindle sales weren’t making any headlines. I admire the determination to move forward with a project even though it isn’t part of some accelerating trend. The lower the latency between touch and response, the more natural writing would feel. Ultimately they were able to nearly halve the latency of the latest e-paper displays, down to about 55 milliseconds — the iPad’s pen latency, for the record, is 50 ms (Update: With the latest updates, Apple claims to have lowered latency to an impressive 20 ms). That’s a major accomplishment, and one that impressed E Ink enough that the two companies began working together. 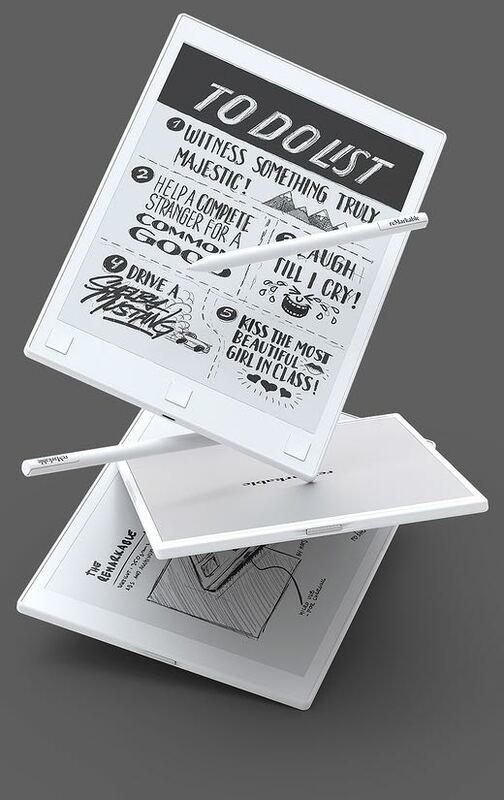 And the other aspects of the tablet — its Wacom-like passive pen with tilt and pressure support, its layer support for documents (critical), its thoughtful material choice — are also welcome. But the technical achievement is secondary, I think, to the vision of a useful product that doesn’t fit within any existing popular buckets. 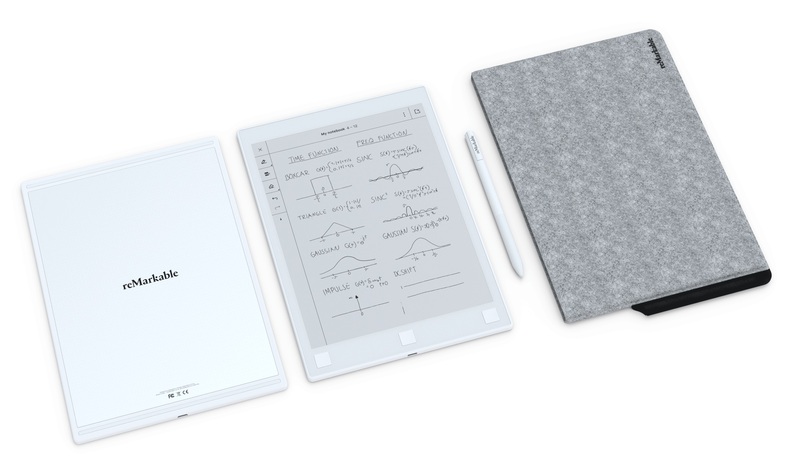 The reMarkable is built from the ground up to be black and white, to handle and share documents and sketches and to be a comfortable, paper-like environment lacking the cumbrousness of Windows or the constant pushes from Amazon to buy more everything. It’s made to do several specific things well, and within the limitations of a monochrome touch display. It isn’t a Kindle on steroids, and it isn’t a hipster iPad. It’s very much its own thing, and that’s not common with new devices. The specifics of the device, how it handles and whether it’s as useful as I think it will be — those can wait until this summer, when I should have a full review of final hardware before the reMarkable ships. For now, you can learn more at the reMarkable site or pre-order one for $479.